There are few things in this world that can rouse me out of bed at 8 a.m. on a Saturday. 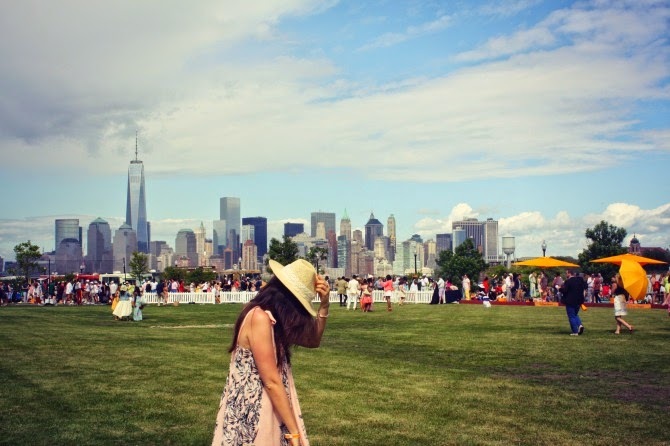 The prospect of spending a day lounging on a picnic blanket drinking champagne and watching polo in the summer sun with Manhattan in the backdrop happens to be one of them. 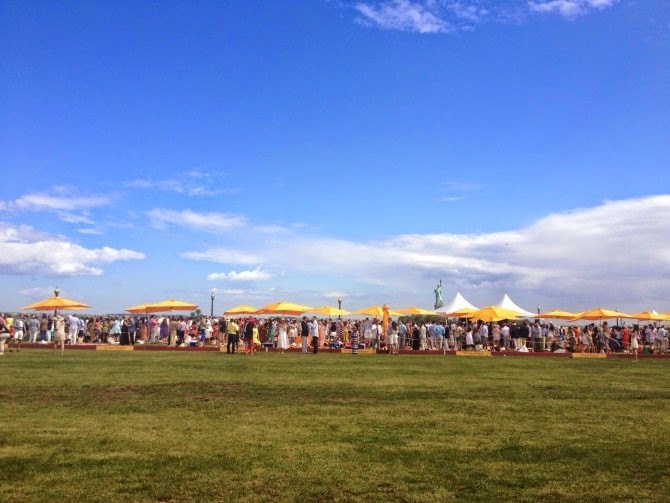 This weekend I, along with my roommate and what felt like half the population of New York, boarded a fleet of ferries in Battery Park to journey over to Liberty State Park for the Veuve Clicquot Polo Classic. 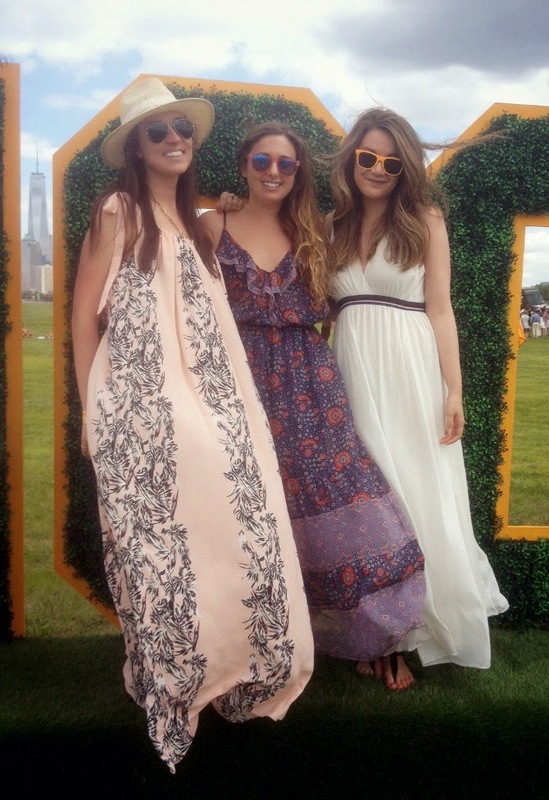 As you might imagine, the dress code at an event like this tends to skew incredibly preppy. It's like Easter meets the Kentucky Derby with a healthy dose of New York cool. 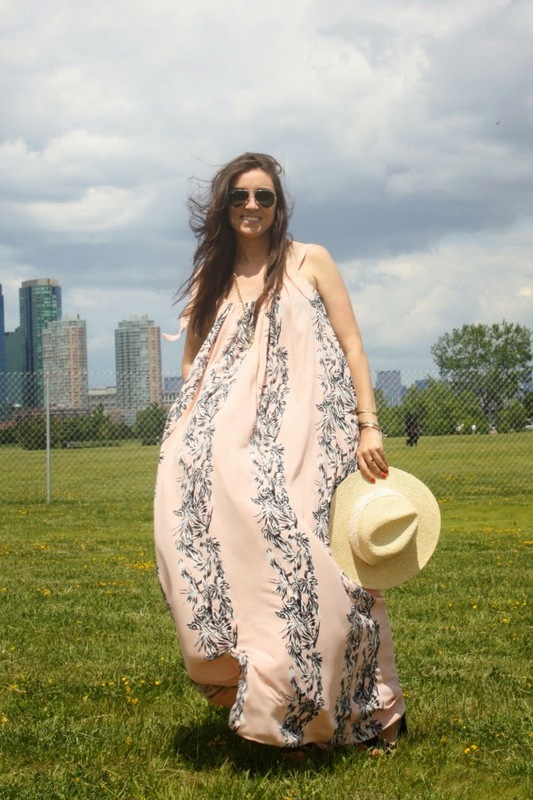 I decided to subvert the obvious just a bit and go for a flowy—yes, tent-like—maxi dress with the requisite straw hat and flat sandals. Aside from a quickly passing torrential downpour, the weather was sunny and gorgeous all day. 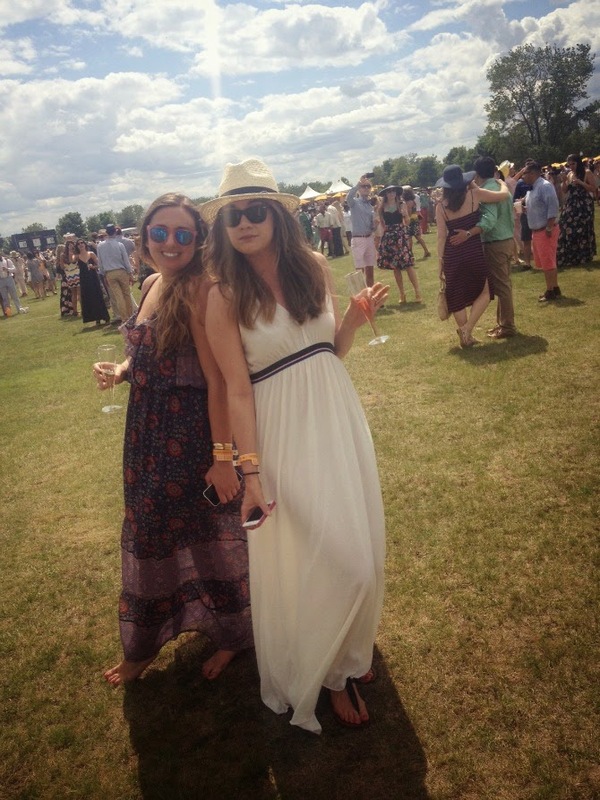 Amanda nabbed a perfect picnic spot in view of the fields and close to the "bar." 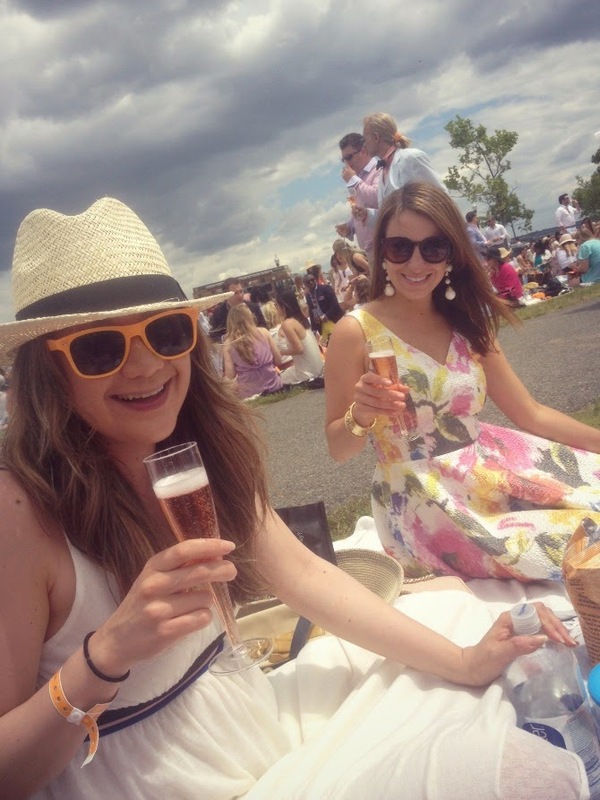 We splurged on a bottle of Veuve (#festive and #worthit) and toured it around with us as we stomped the divots and had a wild dance party with the revelers who rode out the storm (that drove half the guests to the ferry early). 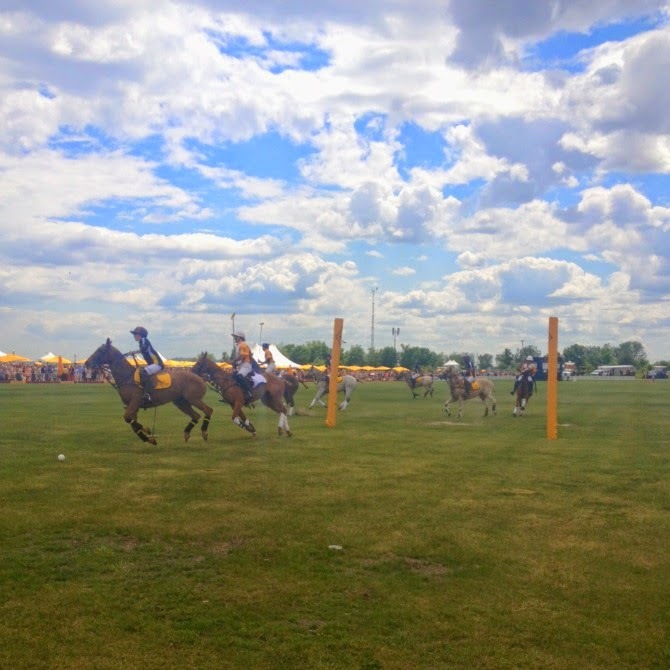 Also, as someone who grew up around horses and learned to ride on a retired polo pony, I found the sport so interesting and exciting and graceful to watch. Oh, and Nacho Figueras isn't so bad, either. That dress is beyond fab. I love the hat with it too! Looks like SO much fun! That dress is beautiful! Looks like you had a lot of fun!!! Awesome pics, looks like you girls had fun. Great dress, love how the wind captures the flow of it. Great post. Love your super stylish maxi Zara dress.